You’ve perfected your workout regimen, carefully calculated your nutrition, and finally found the supplements that support your fitness goals. Progress is just around the corner! Maybe not. Sure, you’ve covered your fitness ABCs, but what about your ZZZs? Sleep is critical for your general health, but it’s especially important for those who lead highly active lifestyles. Unfortunately, an estimated 70 million Americans struggle to get a good night’s sleep, and that number is expected to reach 100 million by the middle of the 21st century. If you’re one of those 70 million, there’s even more bad news: many studies show that sleep deprivation can have harmful effects on athletic performance. So forget about passing that belt test or setting a new max on your weights or a new best time on your run – you’ll be lucky to have the energy to make it through work! 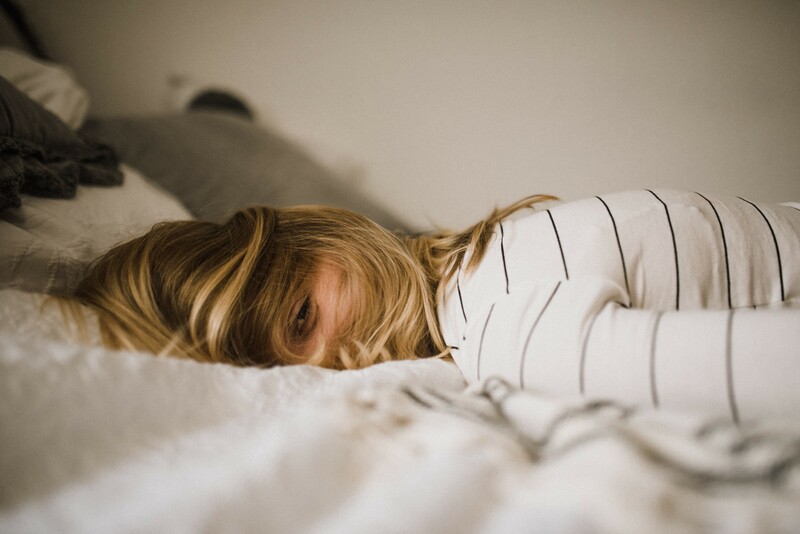 Not getting enough sleep can also impact learning, memory, pain perception, immunity, and increase injury rates and inflammation levels in the body. For active individuals in particular, sleep deprivation can cause changes in your metabolism. It will also make you crave carbs, especially simple carbohydrates. Ever wonder why it’s harder to curb that cookie craving when you’re tired? Your body is desperately trying to get you to wreck your healthy eating plan in exchange for a quick energy boost. Unfortunately, the crash comes just as quickly – probably in the middle of a workout. On the flip side of coin, when we do sleep well, really great things happen. 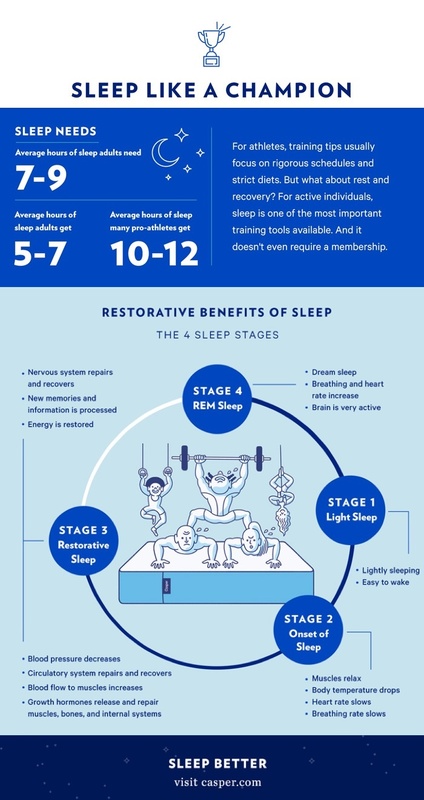 Sleep not only restores our minds and gives us energy, but it aids in our bodies’ natural self-repair systems, including the ones that help muscles and tissues recover after a workout. The sleep stage known as N3 sleep, also called deep or delta-wave sleep, is the most restorative. This is when blood supply to the muscles increases, when tissues grow and repair, energy is restored, and hormones that are essential for muscle development are released. Other nutrients that have shown to be effective in inducing sleep are tryptophan (found in spirulina, spinach, some seafood and turkey) and valerian (an herb commonly used in teas) may help improve your sleep. Try sipping a valerian-based tea before bed, or, if you don’t like the taste, look for a sleep aid with one of these nutrients in it. 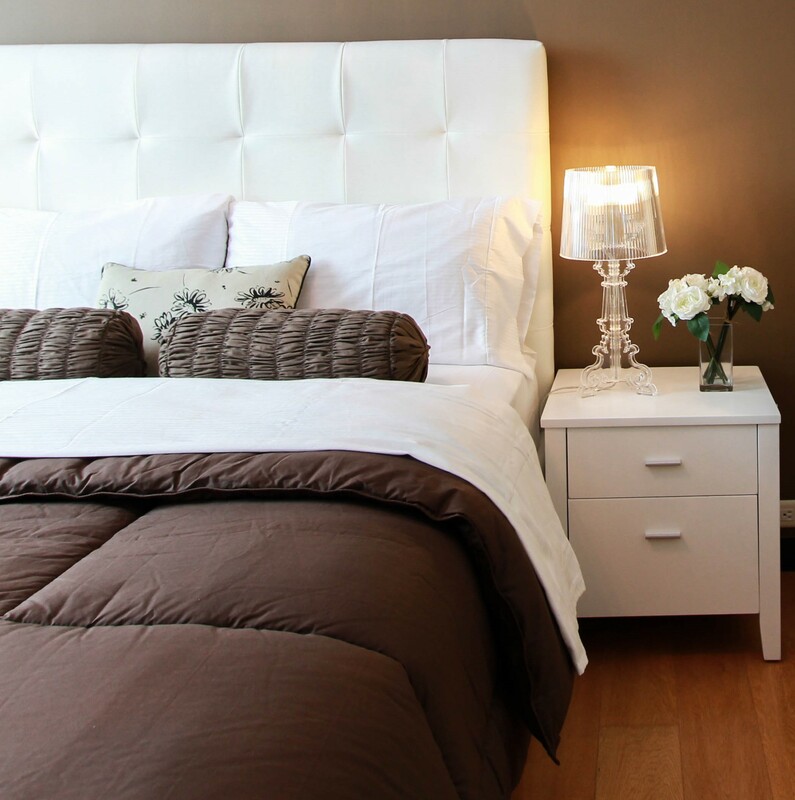 Your bed is your comfy, cozy refuge…that you’ve had since college. You use it every night. Is it any wonder it’s started to wear out? But using a worn-down mattress is like wearing worn-down running shoes: they’re still there, but they’re not really doing the job they’re intended for. According to a study published in the Journal of Chiropractic Medicine, simply investing in a new bed can have a significant impact on your sleep quality. Experiment subjects who slept on a new medium-firm bed, rather than their old 10-year-old mattress, experienced reduced back pain, greater comfort, and deeper sleep. There still isn’t a lot of research being done that focuses what specific traits a mattress can have that make it beneficial to sleep quality. However, some newer mattress companies have started to conduct their own experiments – because hey, if there’s a need, there has to be a product to fill it, right? One such company, Casper, started by diving into the science of what makes a perfect sleep experience and building a mattress based on that. “Our research,” the company says, “led us to the discovery that a single, well-balanced sleep surface could cater to the vast majority of sleepers.” Their signature mattress has gotten good reviews, so if your current bed is getting old, it might be a good investment! Like taste in food, taste in sleep surfaces varies from person to person. Do your own research and find the best bed for you! Just like you follow a physical fitness regimen, you also need to get serious about your bedtime routine, including a set sleep schedule. Your body has a natural, biological rhythm it really wants to follow. When you throw it off by deviating from your schedule, you throw off the rhythm and lose you ‘sleep groove’ making it harder to fall asleep later. Even if it’s hard, you need to prioritize sticking to a consistent sleep schedule. That includes – and I’m so sorry about this – cutting out those weekend snooze-a-thons where you stay in bed until noon. Instead, leave your bedroom curtains or shades open when you go to bed, so that the natural light wakes you up in the morning. And make sure you turn off and blue light-emitting devices off a few hours before bed. Muscle recovery and rest days are often undersold in terms of their importance, but here’s another reason why you need to make sure you stretch and rest: pain, whether from muscle soreness or overwork, will rob you of sleep. Make sure you’re taking the proper rest days, following a safe stretching protocol, warming up and cooling down before rigorous physical activity, and supplementing if necessary. Making changes to your sleep schedule can make a big difference in every aspect of your life, including your physical fitness! So if you want the best results from your training, the secret to success is as easy as falling asleep.